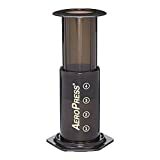 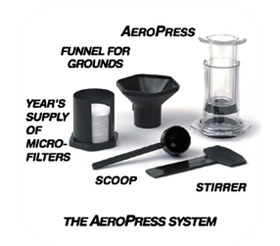 Fast and convenient, the AeroPress Coffee and Espresso Maker makes one of the best cups of coffee you’ll ever taste. 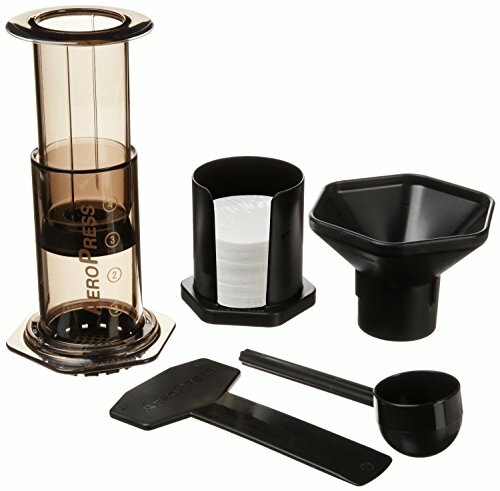 This innovative uses the ideal water temperature and gentle air pressure brewing to produce coffee and espresso that has rich flavor with lower acidity and without bitterness. 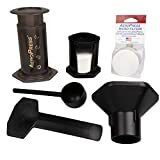 It makes 1 to 4 cups of coffee or espresso (enough for 1 or 2 mugs), features a micro filtered for grit free coffee, and takes just 1 minute to make coffee (actualpress time takes only 20 seconds).